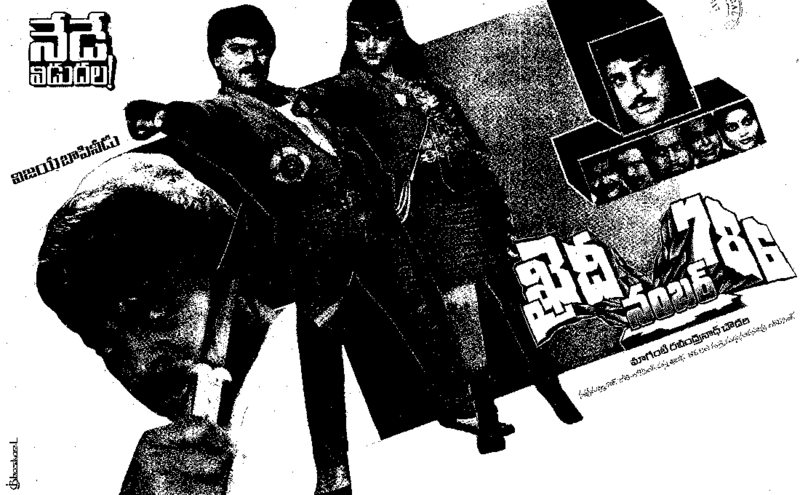 Banner: Suresh Productions Pvt. 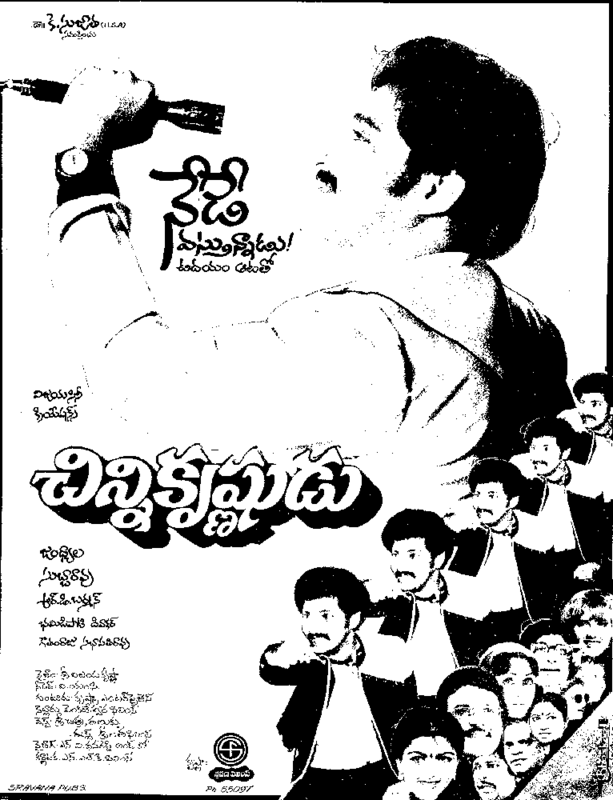 Ltd.
Trivia: This was first Telugu movie has done shoot in Mauritius. 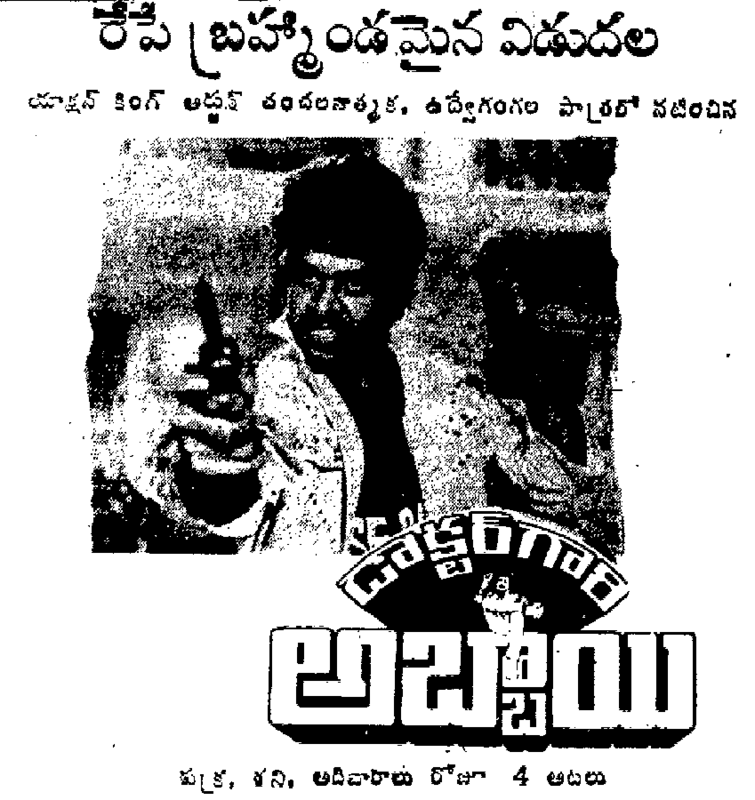 Trivia: This was based on a real incident happened in a village in Srikakulam. 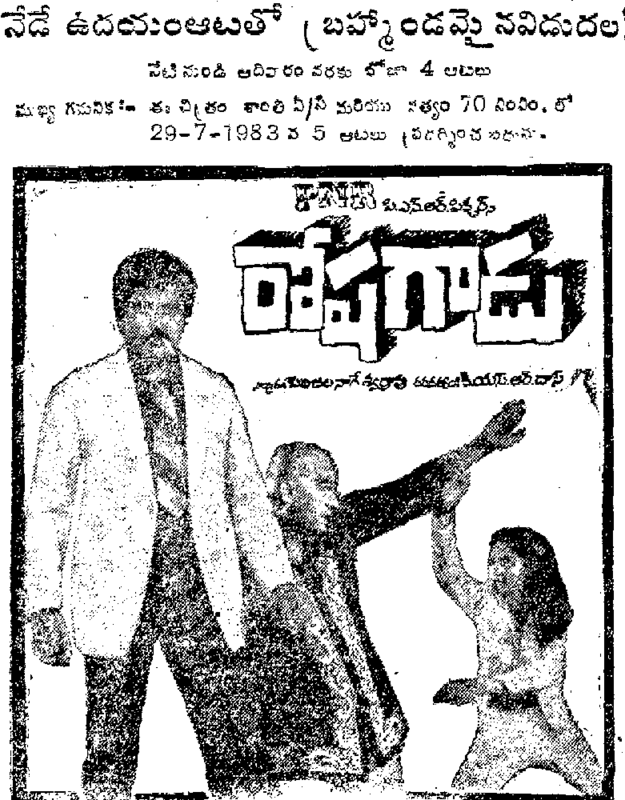 Trivia: It had a 100-day run in 12 theatres. 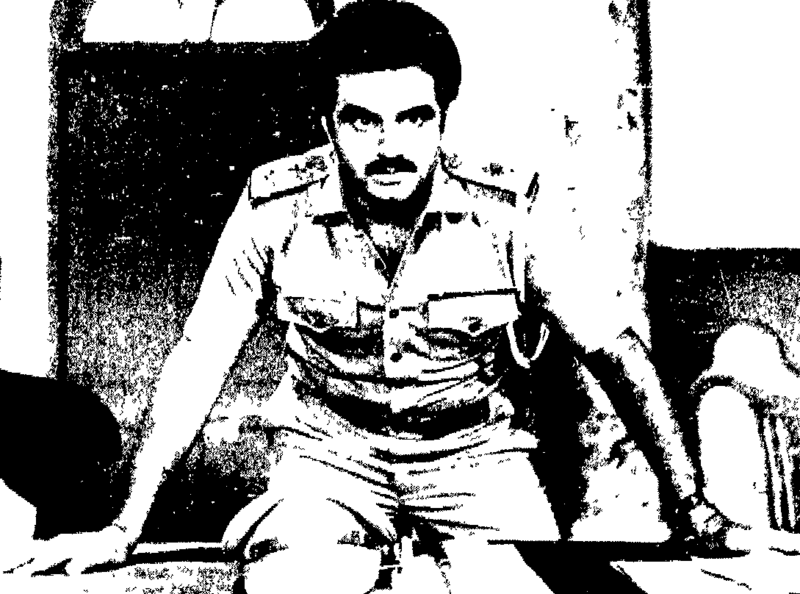 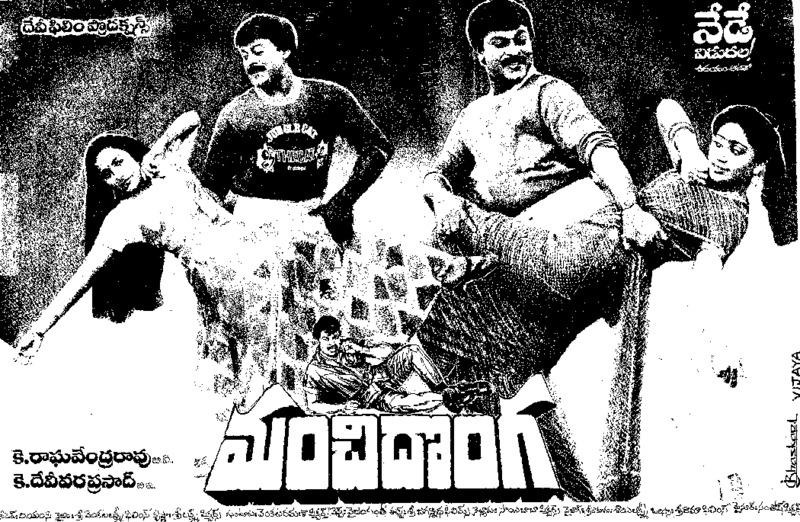 Trivia: Rajasekhar played dual role as a police inspector and as a auto driver. 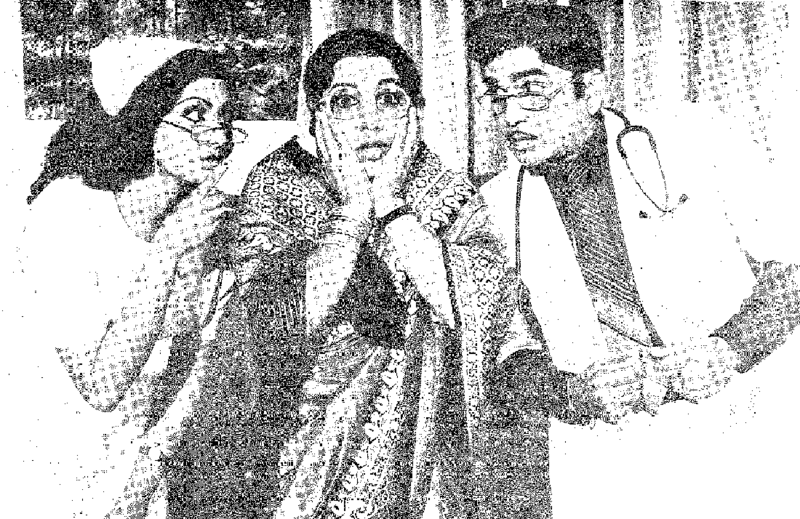 This was a remake of Hindi hit film JAAN KI BAAZI. 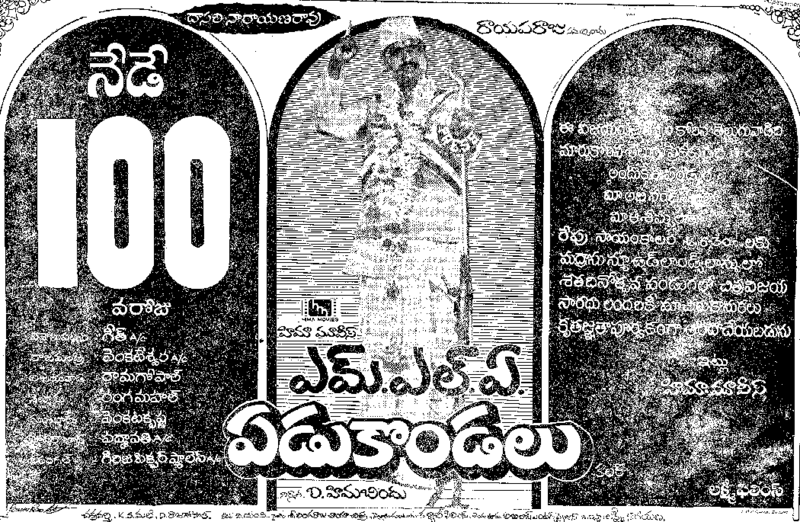 Trivia: It had a 100-day run in 29 theatres. 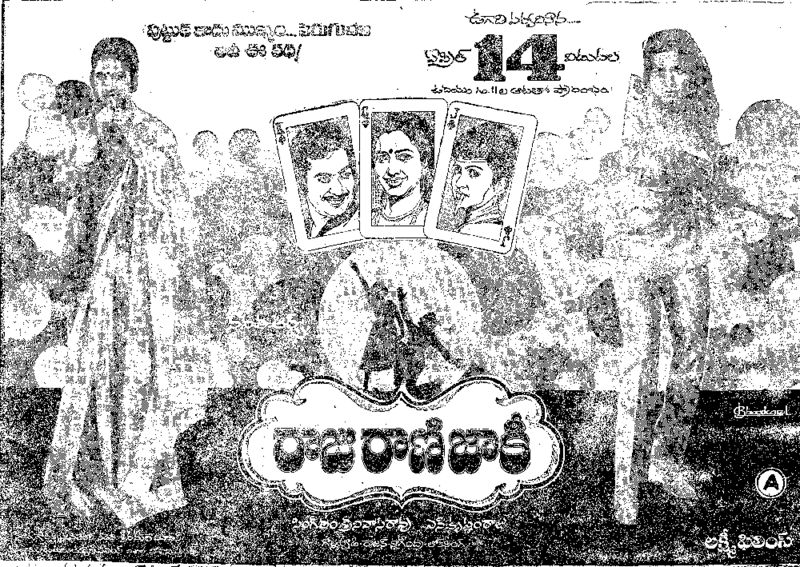 Trivia: In this movie, Balakrishna was seen in the getup of Alluri Seetharama Raju and Bhagat Singh. 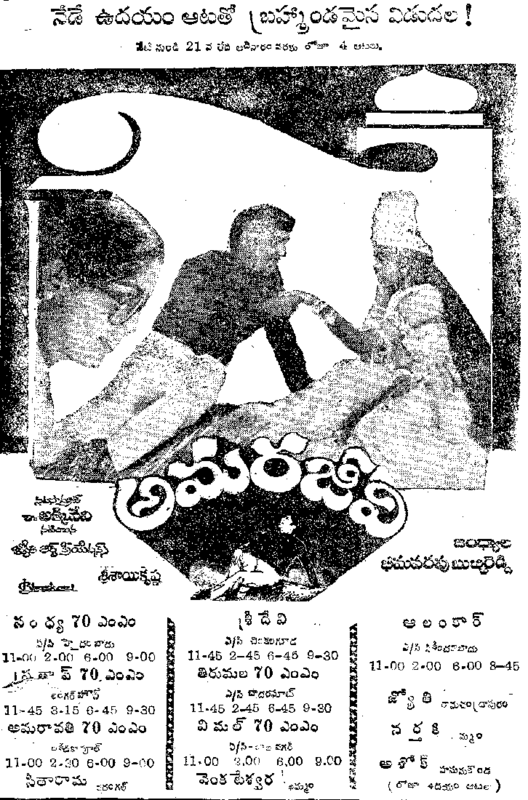 Trivia: It had a 100-day run in 7 theatres. 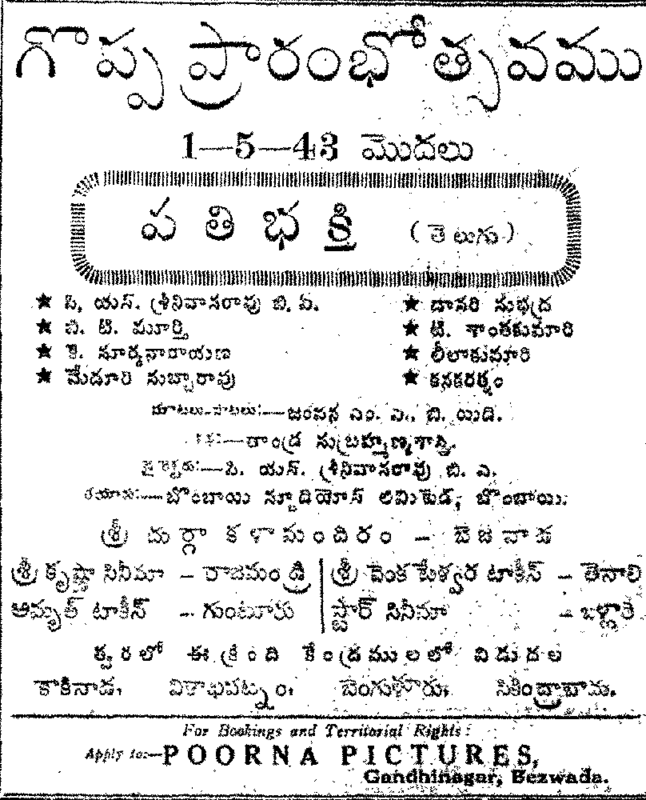 Trivia: This was produced by well-known singer and music director G. Anand. 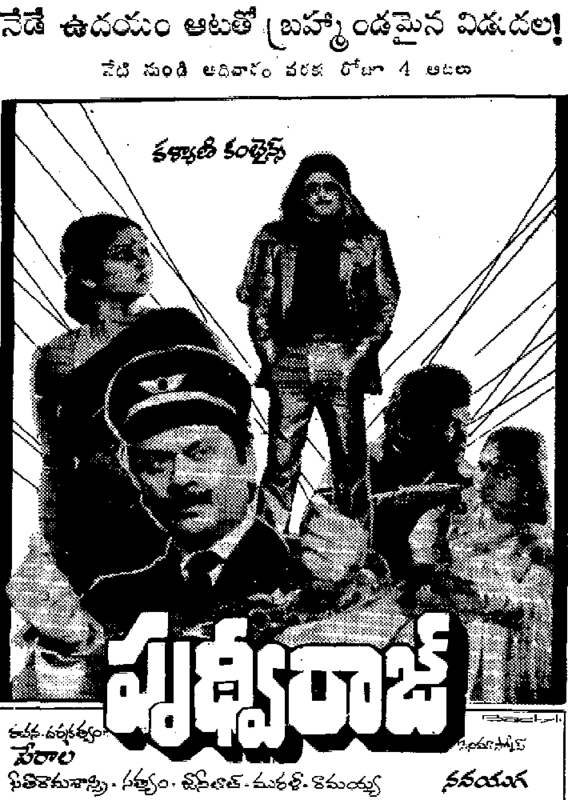 Trivia: This was based on Kannada hit film MOOGANA SEDU, directed by Boyina Subba Rao. 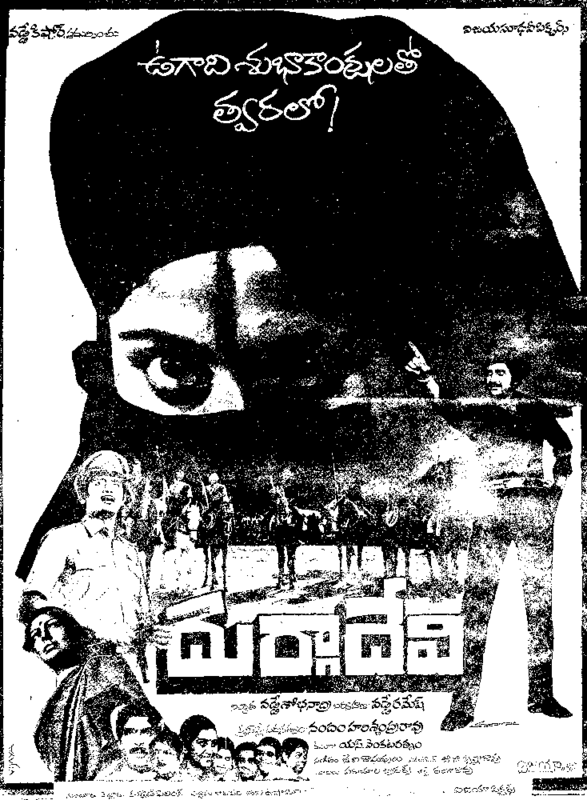 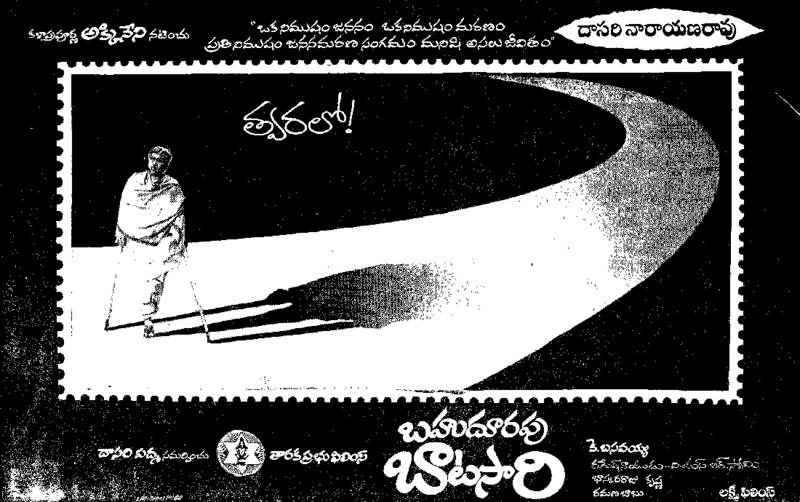 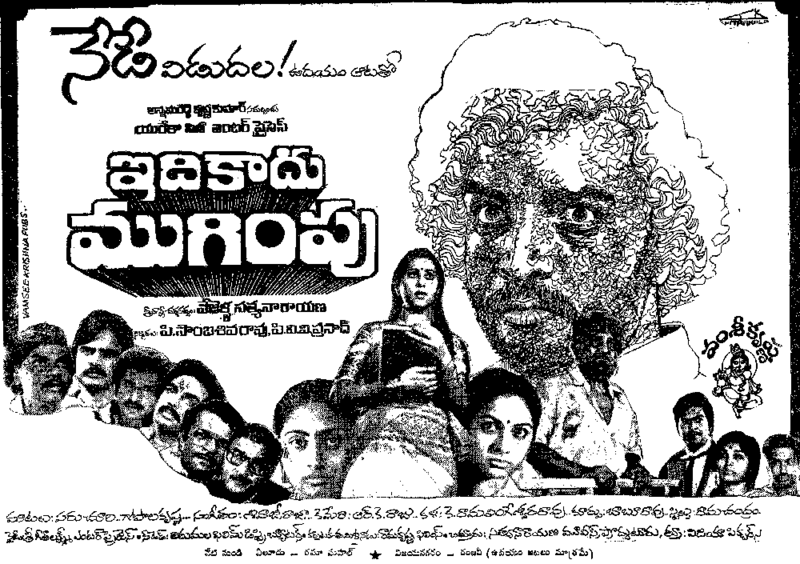 Trivia: This was based on the novel PREMA KIREETAM, by Patibandla Vijaya Lakshmi. 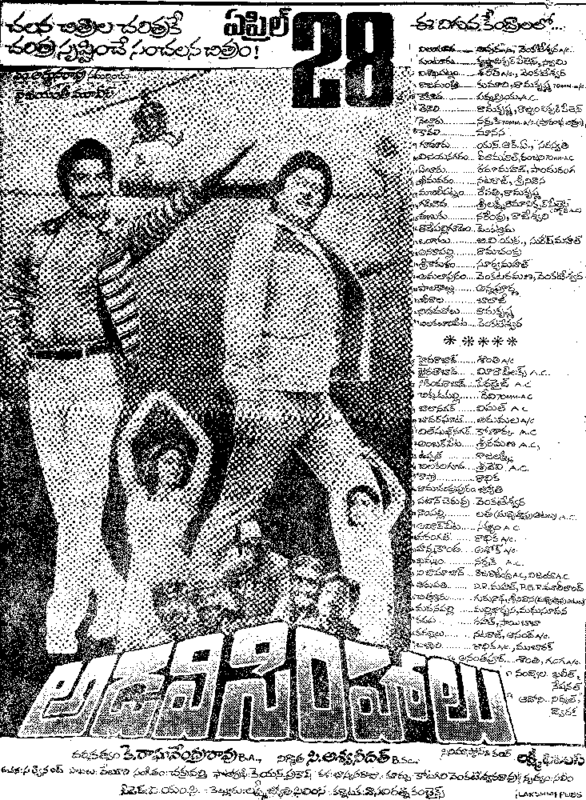 Trivia: It had a 100-day run in 18 centers. 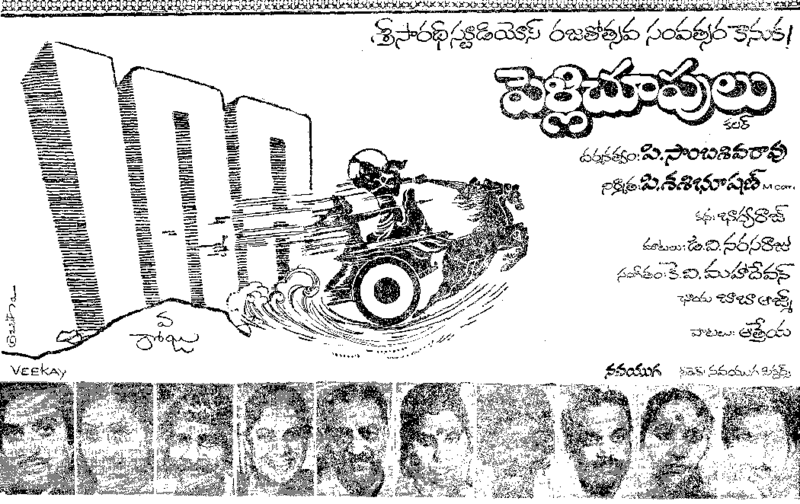 Trivia: This was first movie for cinematographer Navakanth as a producer. 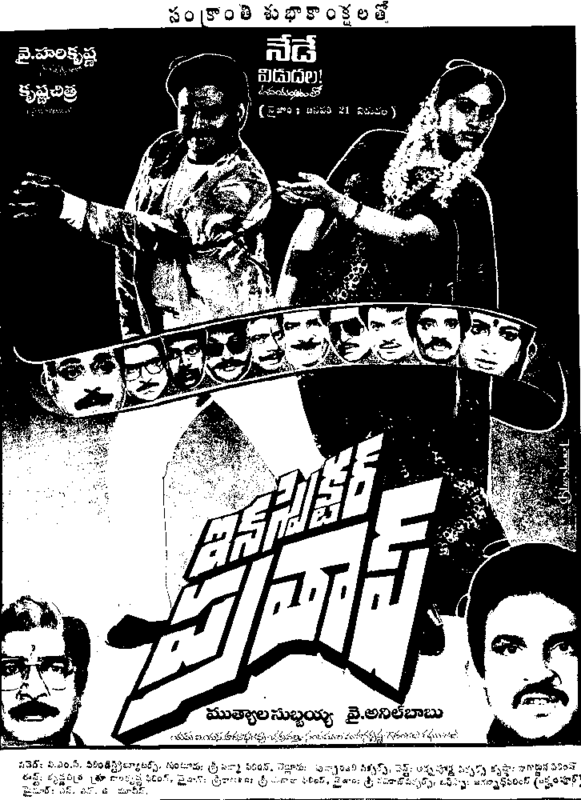 Trivia: This was remake of Kannada hit film AVALE NANNA HENDTHI. 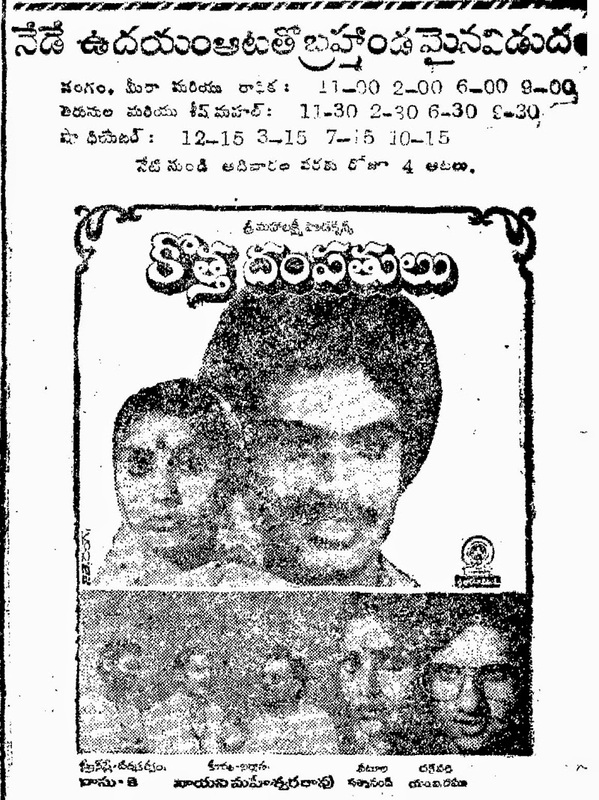 This was first movie for Kannada actress Thara and Kannada music director Hamsalekha in Telugu. 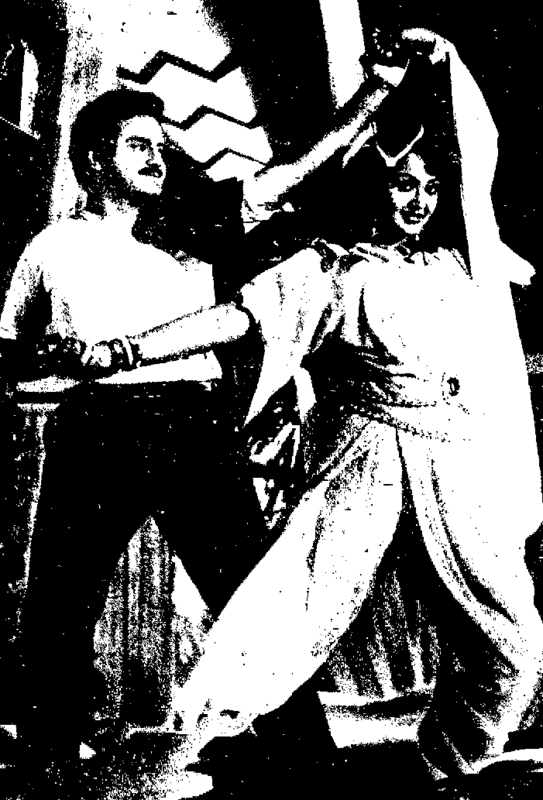 Trivia: Neethu, the leading actress in this film, is real life wife of Arjun.